This is one evil robot mug! The Avengers Age of Ultron Ultron 16 oz. 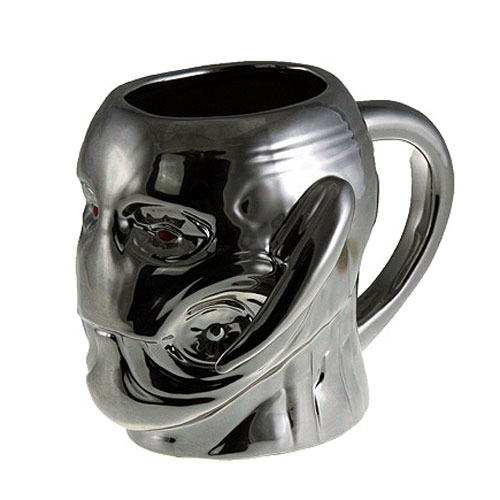 Molded Mug features the expertly crafted likeness of the robot villain to the Avengers, Ultron. This mug holds 16 ounces of liquid. Strings not included. Hand wash only. Not dishwasher safe. Do not microwave. Measures 5-inches tall and approximately 3 1/2-inches in diameter.